And Footyheadlines claim that it’s likely we’ll turn to either Nike or Adidas in time for the 2019/20 campaign. Footyheadlines always leak new kits – and nearly always correctly – and are a very good source when it comes to information about potential new strips. A new deal would hopefully bring Liverpool in line financially with the likes of Chelsea (Nike) and Manchester United (Adidas), who currently earn over double Liverpool’s £28m/year deal with New Balance [Mirror]. 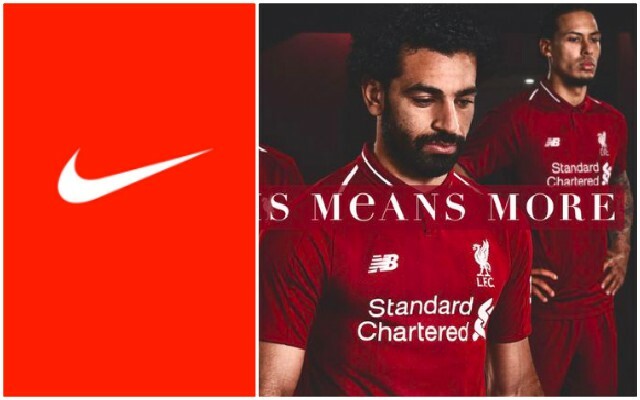 Liverpool have never worked with Nike, but have a long history with Adidas, who made our kits in the 1990s and the 200s. There is of course the possibility that a relatively unheard of brand starts making our kits. Let us know which manufacturer you’d prefer, in the comments below.